What is the Law of Attraction? | Law of Attraction Plus: The Secret revealed! The Law of Attraction refers to the natural power that we all human beings have, allowing us to attract events to our lives just by using our thoughts and feelings. Our brain works like a magnet, attracting all the things that we think and imagine, whether it is consciously or unconsciously, positive or negative. The Law of Attraction is passive and it doesn't differentiate between this words. It's always working. However, just by choosing our thoughts and -therefore- our feelings, we can change our attractions. All of our wishes will come true through the universal energy, no matter whether it's something material or not, eg an relationship or one's state of mind. Modern science confirms its existence, while we daily see it in our environment, eg when you think of a friend (whom you haven't seen in a long time) and suddenly they contact you, or when you know someone who is always talking about their problems and you can see how that person's problems increase more and more. The site is named "Law of Attraction Plus" because it passes on the gurus' knowledge of this power in a way that you can implement them consciously and positively in your life. The Magnet is just a Symbol. 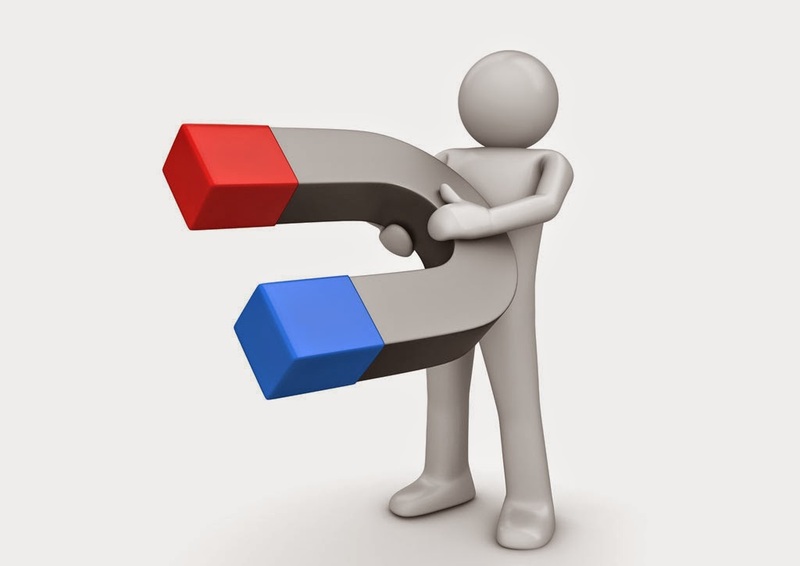 The real magnets attract positive charged using negatively charged, but the Law of Attraction does't work that way. We're Positive People Attracting Positive Events.